Once again, Tropicalbass.com is very proud to present you the new single by our very good friends of Gato Preto, exclusively. This time, the forward thinking duo joined forces with british/caribbean singer Meli Wharton to record their latest masterpiece called “Soundgals” which fuses english and portugese vocals on a Reggaeton inspired Moombahton Beat. 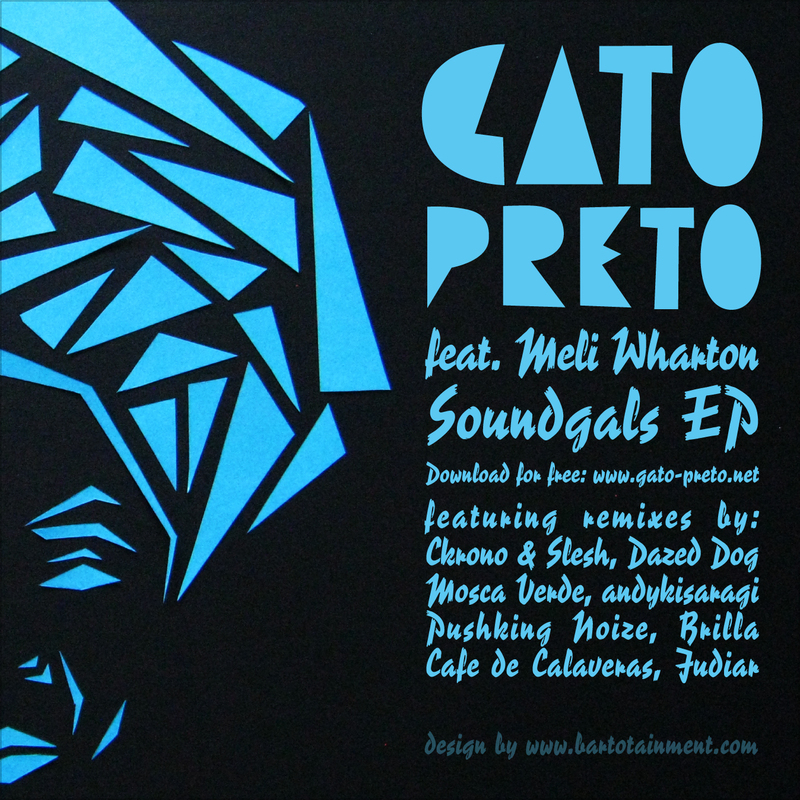 Meli Wharton’s flow and her incredible voice are the perfect supplement to Gata Minsteriosa’s powerful parts. As always, the release features lots of great remixes, too. We have alternative versions by Brilla, Ckrono + Slesh, Dazed Dog, Mosca Verde, andykisaragi, Pushking Noize, Café de Calaveras and Judiar, reaching from new genres like Trap to Moombahton. In addition, Gato Preto assigned Sebastian Kalitzki aka. Barto to produce a video for “Soundgals”. The result is a wicked and artful papercraft-stop motion vid, you need to watch! The viewer dives deep into a world of colour and fast moving objects / faces driven by the bouncing beat of the track. To learn more about the complicated fabrication, you should also consider to watch the very interesting making-of video. muito foda, demais é nóis !! !